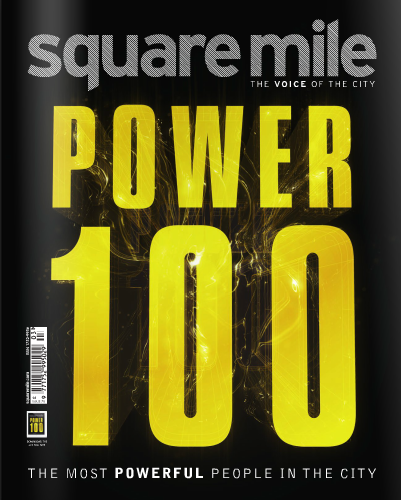 Published in Square Mile Magazine, April 2013. Original article here (p78-80). There is nothing Scandinavian about our surroundings though, as we meet in the Lord Mayor’s office in the Mansion House. The building was indeed designed “to amaze and impress”, confirms Gifford, who can call the grandiose building his home during his year in this unpaid position. An intense schedule of meetings, dinners, travel, receptions and up to four speeches every day means there is much demand for Gifford’s time: “You have to like the sound of your own voice to do this job, to be perfectly honest,” he laughs. We are careful not to spill our teas on the brocade, as Gifford, classically dressed in a deep blue suit and subtle-patterned tie, admits he sometimes nips off to his North London family home so he can put his feet up without fear of ruining a piece of national heritage. “But it is so exciting to be part of such a long tradition. And yet, to be doing it in a very modern world. It is that combination,” says Gifford. While issues such as the Libor scandal has done little to reassure the public the problems are in the past, new regulation has already changed UK banking, says Gifford. But did the industry want change? Gifford has previously stated how the Occupy movement sparked important discussions about what we want capitalism to be. He calls for an increased social awareness in capitalism: “We all prosper more if all parts of society are looked after. You can talk about benefit fraud, excessive social policy or taking away the will to work, but there have to be balances,” says Gifford, who credits Occupy with having made people stop and think. When asked whether this feels like a radical attitude, Gifford counters that it in fact feels very normal. But, I point out, we are sitting in this lavish building, after he as the Lord Mayor was sworn in during a silent ceremony with elaborate costumes and processions. Does the pomp and circumstance add something, or is it a distraction? The Lord Mayor certainly knows where he belongs, having said at the beginning of our meeting he would go back to SEB after this year: “I have been 30 years with dear old SEB. I will go back to them.” But after the Mansion House experience, will his role there be enough? “I only said I would go back to SEB. I would quite like to do something a little bit else!” Gifford says, with a glint in his eye. Posted on 04/03/2013 by Jess. 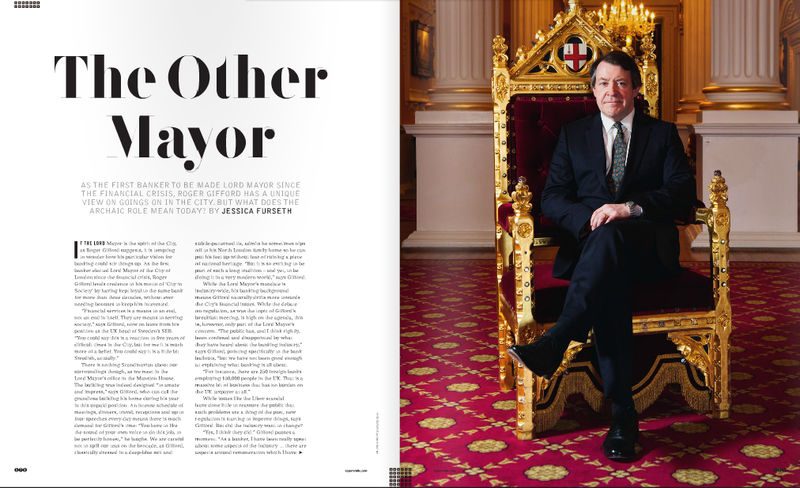 This entry was posted in Feature interviews and tagged lord mayor of the city of london, square mile magazine. Bookmark the permalink.